Crickhowell and the Usk valley went through great changes during the long reign of Queen Victoria. Education brought new opportunities for children, but had difficulty in getting established. 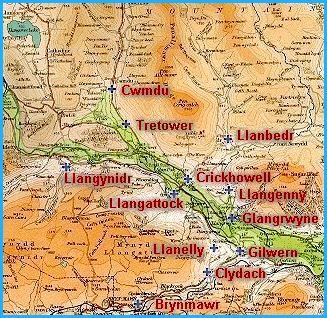 Transport improvements linked the area with the changing world beyond Breconshire, bringing new prospects for trade and travel. The development of mining and metal forging industries on the very fringe of the county drew people off the land to find new work. Grand new estates grew up and local people worked on the farms and as servants in the great houses. Use the links below to see more about these changes. greatly welcome feedback from teachers, children and others interested in our project.